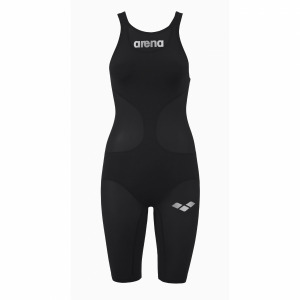 The Arena swimsuit Ipanema is named after a neighborhood in Rio de Janeiro and has been inspired by the 2016 Rio Olympics.This black one piece swimsuit has a stylish block panel design and these panels split the body to give a slimming effect. The ‘V’ style back style provides good side coverage but is slightly deeper cut out than the ‘pro’ style back. It also has an integrated shelf bra for a little extra support. It is manufactured from Max Life material for long lasting performance and comfort. It is chlorine and abrasion resistant and the 46% PBT / 54% polyester guarantees a suit which is soft to the tough and provides a perfect fit. This suit would look equally at home around the pool at home or away. For international deliveries we use Royal Mail Air Mail. Air Mail can be one of either Tracked, Signed For or Tracked & Signed For. The delivery method selected is dictated by the options available in the delivery country. If you require an order urgently we can also use UPS. This option is available at checkout for most European countries. If it is not available for your delivery country and you would like a quote please contact us at [email protected]mwearstore.com and detail the items you require and the full delivery address including any zip codes.